How would YouChoose to save £40m ? People in Leeds are taking the chance to show off their budgeting and decision-making skills in order to help the city council save £40m next year. 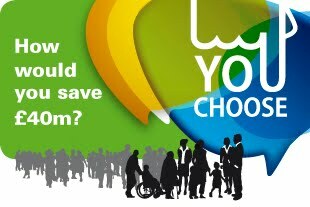 Launched last month, the YouChoose challenge has already seen more than 1,000 people take on the simulated role of Leeds City Council budget-setter for the financial year 2013-14, with the aim of hitting the target of a £40m saving while continuing to provide essential services. The online budget simulator challenge is free for anyone to try by going to www.leeds.gov.uk/youchoose, with the aim being to find out directly what residents feel are priorities and helping to give an insight into how council resources are currently used. Anyone who would prefer to complete a paper version of the challenge can do so at any council-managed library or one-stop centre in the city. The council has already realised savings of approximately £145m over the last two years, with a further £40m saving identified as being needed for next year. Everyone who takes part before Monday 24 January 2013 will have their views considered as part of the citywide consultation process which is currently underway and will be taken into account by senior councillors when the budget is finalised in February. The challenge has received a promising initial response from residents of all ages across the city, and the council is now calling on as many more people as possible to try YouChoose and have their say. “We are very pleased with the initial response of the YouChoose challenge, but we would really like to hear from as many people as possible to let us know how they think we should spend money in the city.